If you have a young child in your home, then it is essential to keep them protected from the dangers of electricity within your own home. As young children start to grow, they learn to crawl and eventually walk – and when this happens, they love to explore. When they see little holes in the wall the size of their own finger, many are tempted to stick their fingers inside – which can lead to tragic consequences. RCD protection can help your child to explore their surroundings while safe from the horrors of electricity. RCD is short for residual current device, and these life-saving devices are designed to protect your new born from fatal electric shock if they are to touch something live like an uncoated wire. I Don’t Have Any Young Children – Do I Need RCD Protection? This is a question that people commonly ask when they hear about RCD. While you don’t need its protection if you don’t have young children, adults can benefit from it, too! RCD protection also helps to prevent electrical fires. RCDs are set apart by other tools by the fact that they offer a personal level of protection that your typical fuses and circuit breakers cannot. How Does RCD Protection Work? RCD protection functions by constantly monitoring the electric currents flowing through circuits in your home. When it detects an electrical change, such as the current flowing through a child, the circuits are abruptly cut off. This considerably reduces any risk of injury or death. For example, if a baby in your home touches a loose wire and it begins to produce sparks, you might not even realise that’s happened because the power will be cut off long before a fire has a chance to develop. Portable RCDs: These can be plugged into your outlet and then appliances can be plugged in through the RCD. These are useful when no other type of RCD is around, but they only protect your child with appliances physically plugged into the RCD. Socket-outlet RCDs: These are socket outlets that have been improved with built-in RCD functions and are used to replace your standard outlet. This protects your child from any appliances connected through the socket itself, and you can install them throughout your home. Fixed RCDs: This type of RCD is installed in your fuse box and offers protection from several circuits. This offers the best security as it protects children from all wiring, sockets, and appliances connected to the fuse box. Can I Depend on RCDs? Absolutely. Many studies have revealed these devices to have a reliability over 97%. This number increases further if you test your RCDs regularly (every three months is recommended). You can test them by simply pressing the test button and seeing if the RCD shuts down. This keeps your whole family, adults included, safe from shocks and electrical fires. If you are expecting a child or already have one in your home, it’s essential to regularly check the wires in your home. This adds an additional layer of protection for your family. Need assistance having your new RCDs installed in your home? 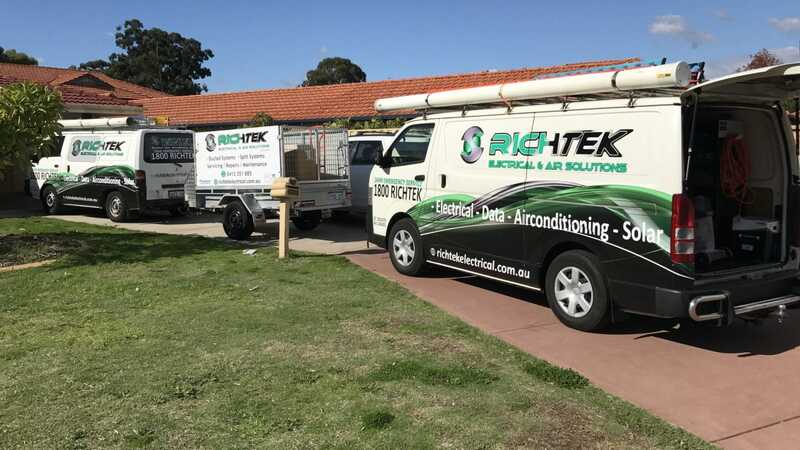 Get in touch with an electrician in Perth today!